Vibeke was my first customer to have her quilt quilted by me here in Denmark, she brought along a giant quilt called Gravity, it was stunning! I have quilted many more quilts for Vibeke and more importantly she has used the midarm machine and frame to quilt many quilts herself for the charity she supports. Her day at the studio was a great success with many ladies sewing, cutting and quilting the whole day, there was plenty of coffee and cakes, lunch and a light snack before going home in the evening. 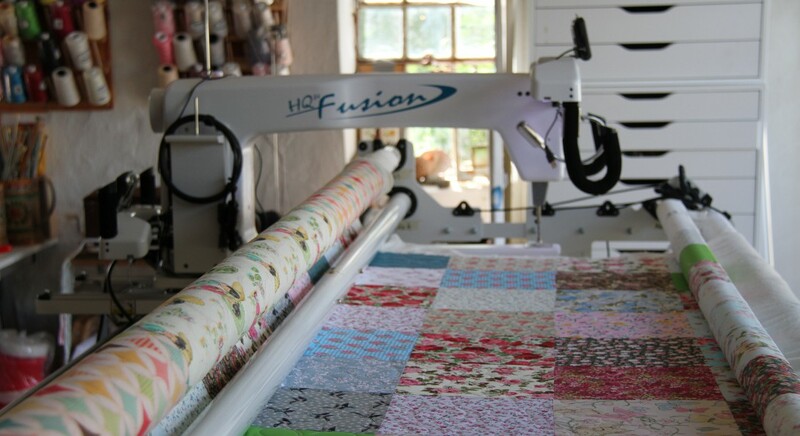 It was wonderful to see the studio filled with ladies, chatting and quilting. It was a fabulous day, well done Vibeke I so enjoyed myself.